Students enrolled in the University of Florida’s online sport management program gain access to our specialized career coaching services. Our career coaches are internationally recognized industry veterans with decades of experience in sport management, including promotions, corporate partnerships, athlete development and more. The Career Coaching with Kevin Carr was an experience unlike any other. The amount of knowledge that he passed along to us about Athlete Development will be great for anyone who enrolls in this course. Hearing about Mr. Carr’s path from the collegiate arena, to the NBA, and starting his own business is truly an inspiration. Mr. Carr also challenged us to think of innovative ways to create our own programs. For anyone who is looking to break into the field of athlete development this program is imperative. Kevin Carr is a 20-year sports business and professional development executive, and internationally renowned speaker. 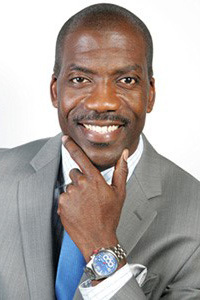 As an acclaimed, award-winning transition expert, author and leadership coach, Kevin Carr is the Founder, CEO and Principal of PRO2CEO, LLC, which is a consulting firm for elite and former athletes, artists and organizations. Most recently, Kevin served 13 seasons (2001-2014) as Vice President of Social Responsibility and Player Programs for the National Basketball Association and NBA Development League. In that role, Kevin was one of five people in the world to provide transition, career and life coaching to NBA and NBA D-League players. He was part of the player development staff that changed the NBA dress code, he led social responsibility efforts for NBA D-League Cares and assisted in the execution of premier NBA Player Development initiatives for 6 NBA and 18 NBA D-League teams. His illustrious background includes a position as Associate Director of Student-Athlete Support and Director of Life Skills at Michigan State University (MSU) where under his leadership, MSU’s Life Skills program was awarded the distinguished Division 1A Athletic Director’s “2000 Program of Excellence Award.” Prior to MSU, Carr was responsible for piloting the first Life Skills program at Florida State University, and was part of the FSU staff acknowledged for their accomplishments with the Award of Excellence for an Academic Support Program for Student-Athletes for College Athletic Management in 1996. He has also been honored with four championship rings in collegiate football, basketball and ice hockey for his role in providing outstanding leadership to players, coaches and staff. Revered for his work in the field of human development, Carr’s expertise has made him an asset in talent development for numerous Fortune 500 companies, including AT&T, IBM, Siemens, The Orlando Magic and the Walt Disney World Company. A business leadership coach, Mr. Carr is a certified licensed facilitator of Franklin Covey’s “7 Habits of Highly Successful People” and “The 4 Roles of Leadership,” and holds a certification in Business Communication Skills and Professional Self-Development and Management from Michigan State University’s College of Communication Arts and Sciences. Among his many distinctions, Carr has been recognized by the Network Journal Magazine as one of its “Top 40 Forty Under Forty” achievement award winners for his significant levels of professional success and substantial contributions to the community. In 2010 Kevin was awarded the YGB Award for his achievements in business and the community. In 2011 Kevin received the No Book No Ball Foundation Award for the commitment to his work in the community. He has been featured in The Shadow League, The Network Journal, RYSE Magazine, FSU Magazine, and Rolling Out Magazine for his work in the field of professional development. Hardwood Paroxysm, American Public University System, the Orlando Sentinel and Careerathletes.com have also interviewed him on personal and professional development of athletes. 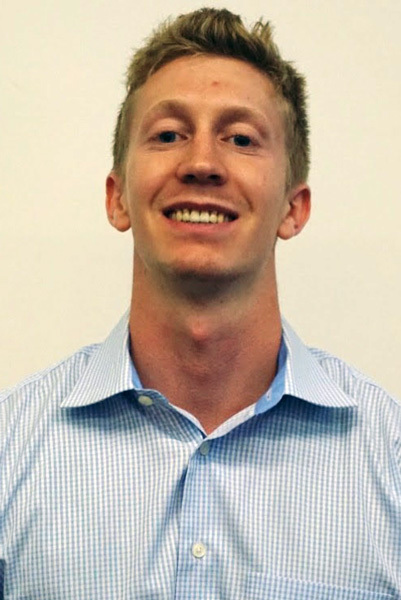 He also enjoys coaching and mentoring emerging professionals across the U.S. in a wide range of industries. Kevin resides in Tampa and is supported by his wife Jenise and children. … We discussed some really important issues in the field, and Mr. Foley offered a ton of influential perspective into his own experiences…I would absolutely recommend this to another student. I felt like the insight I gained into the life of an athletic director and how to make decisions with integrity was certainly worthwhile. I also enjoyed interacting with Mr. Foley and believe he genuinely wanted to help us in our careers. 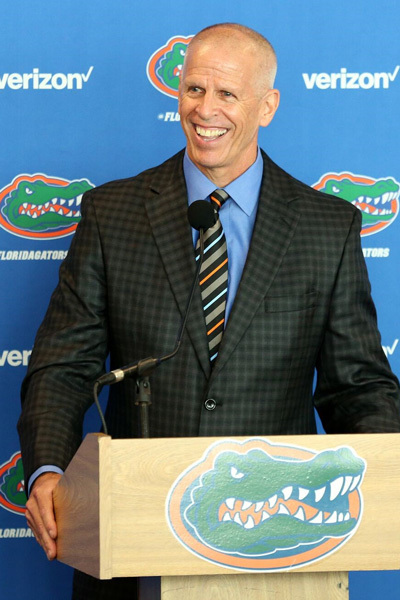 Jeremy Foley was named University of Florida’s director of athletics in 1992 and handled virtually every aspect of UF’s $119.3M athletic program during his athletic administrative career, which began with an internship in the Gator Ticket Office in 1979. Foley’s 25-year run as Athletic Director, at the time the second longest tenured AD in Division I, ended October, 29 of 2017 when he retired. He now serves as Athletic Director Emeritus. As CFO for the University Athletic Association, Foley spearheaded $307 million in capital improvement projects since 1999 and outlined a $100-million Master Facility plan before his retirement. Foley’s commitment to the overall athletic program includes a plan of increased opportunities for women, as three women’s sports were added under his tenure — soccer, softball and lacrosse. Also, in an era when many Division I schools were losing money on intercollegiate athletics, the University of Florida Athletic Association under Foley contributed more than $76M since 2006 to help fund UF academic endeavors. UF was equally successful on the field of play and in the classroom during Foley’s administrative tenure. The UF athletic program ranked among the nation’s top 10 for 33 straight years, according to national all-sport rankings. UF also became the first program in collegiate history to own both the men’s basketball and football national titles in the same calendar year. Overall, UF won 27 NCAA titles and 130 SEC titles under his watch. Foley was named SportsBusiness Journal National Athletic Director of the Year in 2006. Erin Braddock has worked for companies such as Walt Disney World, Tribune Media, Hilton, and recently completed a 7.5-year career with the Orlando Magic in Corporate Partnerships. In her most recent role as the Assistant Director of Corporate Partnership Activation, Erin was responsible for renewing and activating multimillion-dollar accounts and leading two Account Coordinators on her team. Erin’s capstone project with the Magic helped lead to signing the team’s first ever jersey sponsorship with Disney. Erin’s strong desire to give back to future sports leaders and spend more time with her family has led her to adjunct teaching and career coaching at the University of Florida. Erin resides in the Orlando area with her husband and two boys, Noah and Carter. Pioneering, forward-thinking and solution-focused, Celia Slater is the owner and founder of True North Sports. She is a nationally recognized leader committed to providing professional development opportunities for coaches of all sports and who are interested in pursuing both excellence in their profession and bridging the gap toward gender equality for both coaches and players. 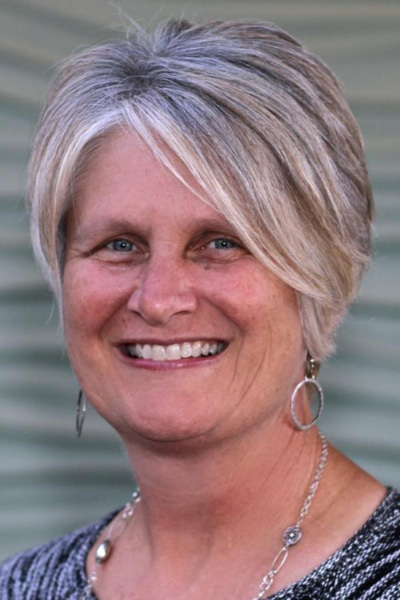 Celia brings nearly 30 years of unmatched experience in college athletics as both an organizational head and a collegiate basketball coach, most recently serving as co-founder and executive director of both the NCAA Women Coaches Academy (WCA) and The Alliance of Women Coaches (The Alliance). Celia’s core beliefs rest in the power of emotional investment in reaching one’s own “true north” to achieve the height of victory as a coach, not just in accolades, but by successfully understanding one’s self, being authentic, and communicating with one’s players to have a mutually beneficial relationship. A Toastmasters International fanatic, Celia has been involved with the organization for several years and earned her Competent Toastmaster Credential (CTM).